I was at the LCBO on Brock and was surprised to find they had a Vietnamese beer on their shelf ... surprised as the store has a decent selection of international beer but usually not much in the way of unusual beer choices. A beer from Vietnam on an Ontario shelf is indeed unusual. 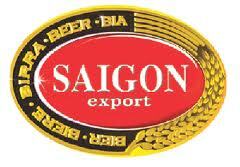 Saigon Export is made by the Saigon Beer-Alcohol Beverage Corporation, (talk about a boring name for a company) and is also known as Sabeco, in Saigon (Ho Chi Minh City), Vietnam. It is definitely a conglomerate. According to Bloomberg Business Week, the company "engages in the manufacture and trading of beer, alcohol, and beverages, as well as related materials and packaging products in Vietnam. The company also invests in real estate properties and provides property services; manufactures food making machinery; and offers installation and maintenance services for electrical systems. In addition, it engages in trading wines, soft drinks, non alcoholic drinks, and chemicals; and provides restaurant, hotel, and road and water-way transportation services, as well as logistics and warehouse services. Further, the company manuf actures mechanical products and builds steel structures, as well as constructs buildings." On the bottle, it lists the ingredients as water, malt rice and hops. Rice is not surprising as it would be more plentiful in Vietnam than malted grains. Rice is used quite extensively by the big North American breweries. In fact, the U.S. beer industry is the largest buyer of rice in the country. The beer pours a medium yellow with a white head that disappeared rather quickly. Although it does list malt as an ingredient, there must be very little as no lacings are left behind on the glass. Although it is listed as a 4.9% APV beer, it tastes more like a light beer. Very little taste and nothing in the finish. Nothing stands out. It is not a bad beer, as I also had the second bottle. It tastes like an everyday big brand brewery beer. When researching this beer, I came upon a travel website, Vietnam 720. 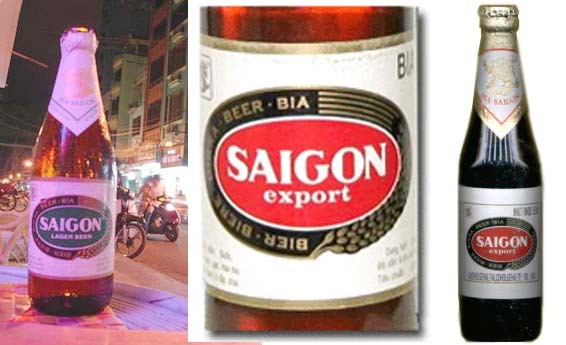 Under its travel tips, it says "When you visit Vietnam, don't miss out on the Saigon Beer, or Saigon Export Beer. "Soapy white head"! Not a good description there. If in Vietnam, this would be a good, safe beer to have. At 60 cents, the price sure isn't bad either. Can't see me having another in Canada, though. Doesn't sound like a fun beer at all.